Wonder Woman, wary for battle. The Blockbuster visual effects firm recently posted a video showing off all the visual effects shots that they worked on. It’s a heck of a watch, showing some really beautiful moments in their unvarnished, high-definition glory. 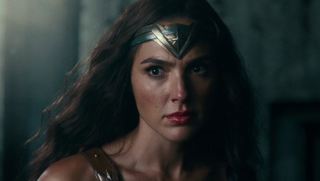 The reel also showcases some details that might be interesting to people fascinated by the behind-the-scenes turmoil of the film: there’s a slightly different color grading scheme at work in these shots, and they also include some small moments not featured in the theatrical cut, mostly featured in a small sequence adding to Wonder Woman’s fight with Steppenwolf. As someone who isn’t super invested in Justice League, I still find this a riveting watch: Scanline truly puts together some dynamic, colorful, and visually arresting work here. Check it out below.